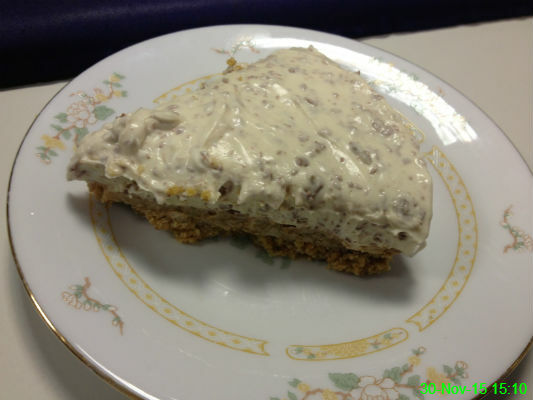 I wouldn't usually have this large a portion of Baileys cheesecake but Olwyn made one especially for Nicola's birthday so of course I had to make sure it tasted fine. It passed the test! We needed a bit of paper to write down our takeaway order and the only thing I had to hand was the back sheet of a prescription. 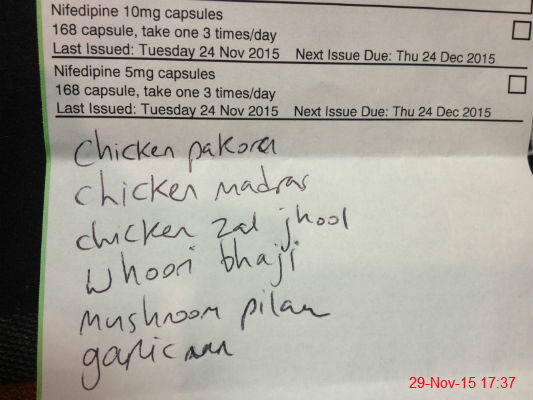 I think there are certain ailments that could be cured by curry, if only doctors would be so kind as to prescribe a nice meal! 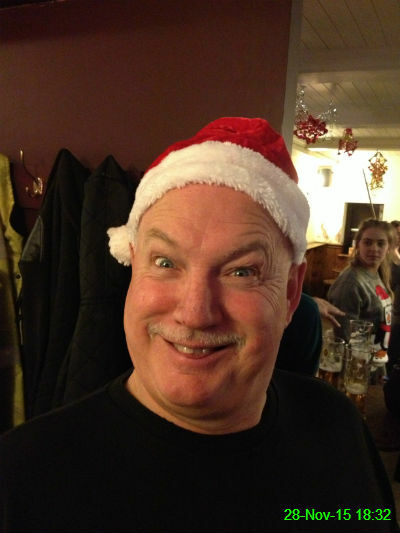 Uncle Keith was evidently feeling festive! 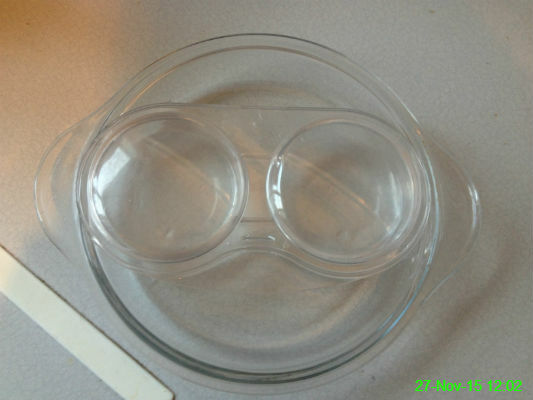 It was an absolute revelation a few months back when I realised that my microwave poaching dish fits perfectly inside this casserole dish lid. Also, I love how it looks a bit like a face. 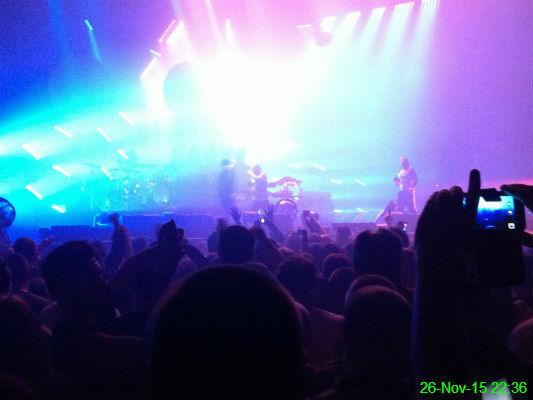 I went to see the Prodigy with Ali at the Arena. It was certainly interesting for people watching! I made my long-awaited debut at Longhorns Barbecue Smokehouse with Sara, Olwyn and Nicola. 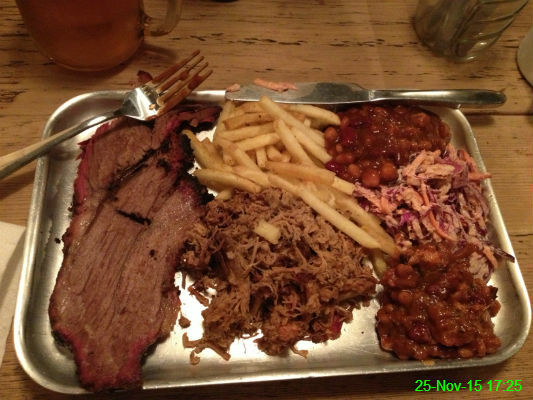 I opted for the BBQ Board with 2 meats and 2 sides so I had pulled pork and brisket then shared the sides (fries, slaw, pit beans and 3 bean chilli) with Nicola to get a little taste of everything. All the food along with a pint of their tasty lager was only £10 and it was well worth it! 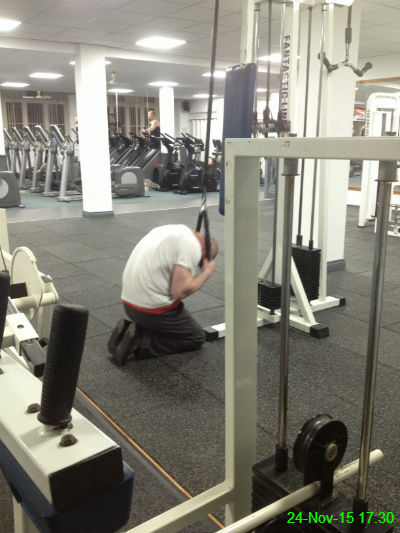 At first I was a bit concerned about what this man was trying to achieve, but with a bit of googling I established this is an exercise called a cable kneeling crunch. I must point out that there are two separate handles at each side of his head, and that it isn't a noose! 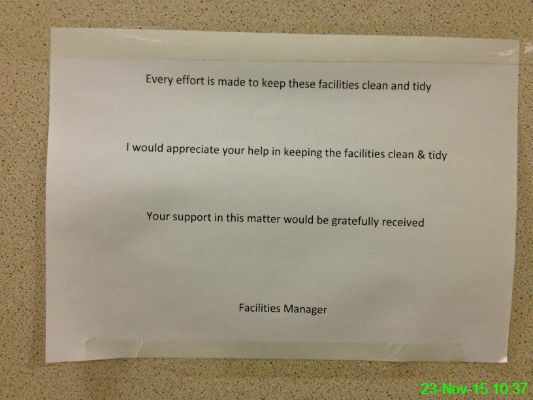 I always try and keep the toilet facilities clean and tidy, but since this new sign has appeared I'll be extra careful. 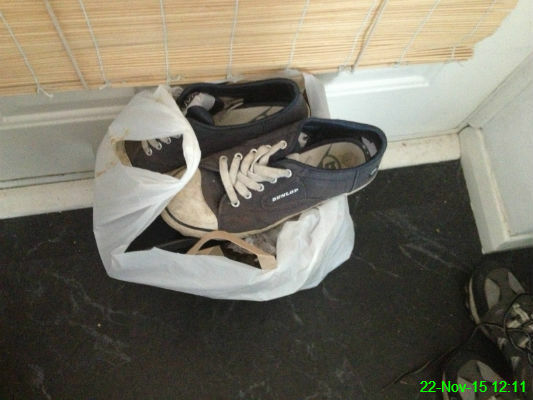 Those trainers are ready to be chucked out so I put them on top of last night's takeaway bag to remind me to hoy them in the bin next time the back door is open. For the record, I didn't order the takeaway from the place which sparked yesterday's picture! 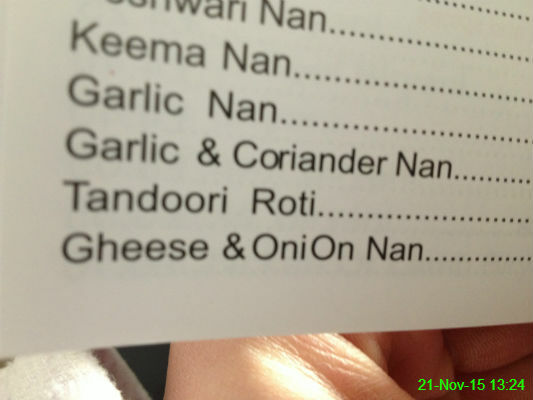 I can't say I've heard of this kind of nan before. 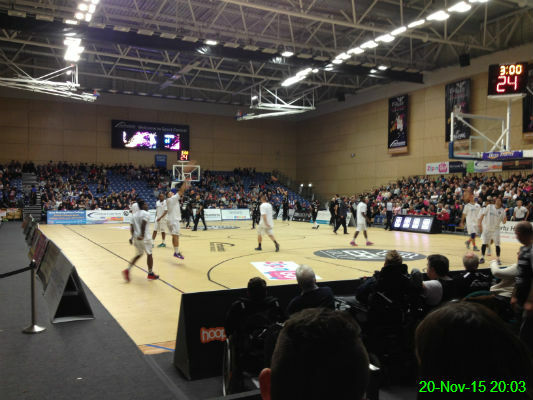 I joined Paul, Neesy and Roger at Sport Central to watch the Newcastle Eagles face their bogey team, the Worcester Wolves. It was a nailbiting affair at times but the hosts came out on top. 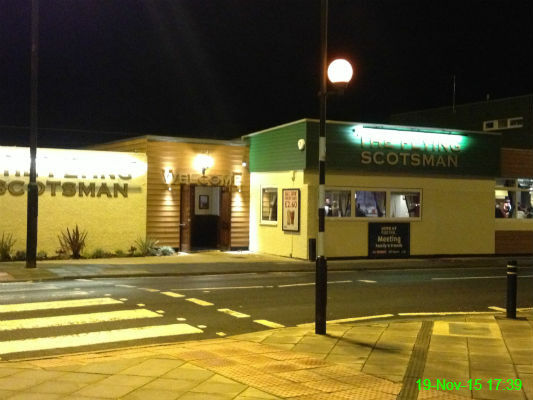 The Flying Scotsman reopened today after a massive refurbishment, so of course I had to go along to see what it was like. Verdict: not bad! Certainly an improvement on what it was like the last time I was in. I'll be interested to see how it does over the next few months. 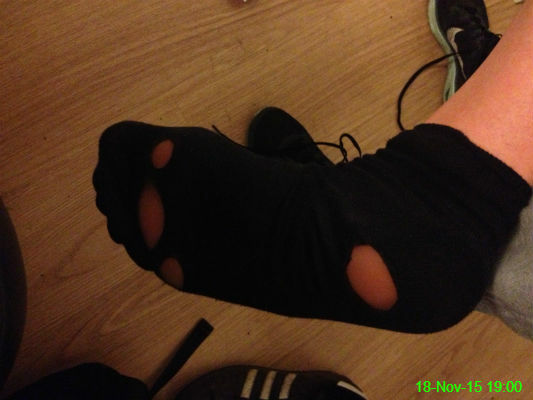 I'm not sure if this sock is trying to turn into a balaclava or what, but it's definitely ready for the bin. 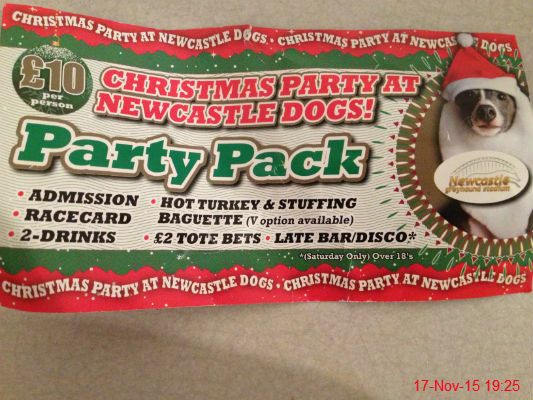 Dogs aren't just for Christmas, but I hope the one on the right of this leaflet doesn't wear that outfit all year! 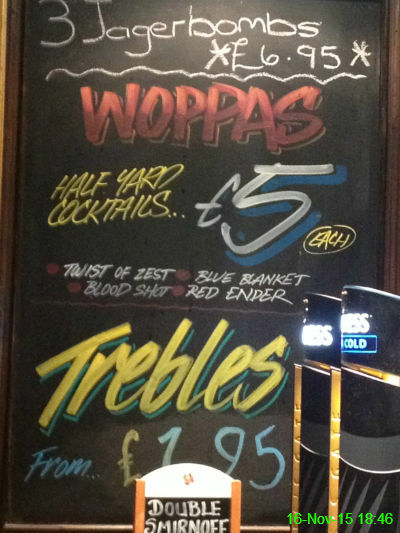 I went for an impromptu few Monday night drinks in the Beehive with Michael, Paul and Nigel and was almost tempted by one of these "woppas". 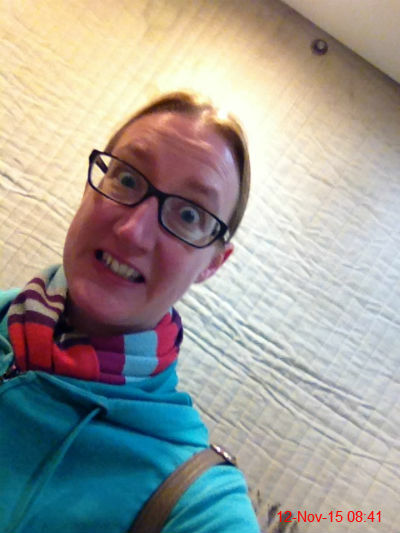 I refrained this time, but maybe I'll be brave enough one weekend when I don't have my sensible head on. 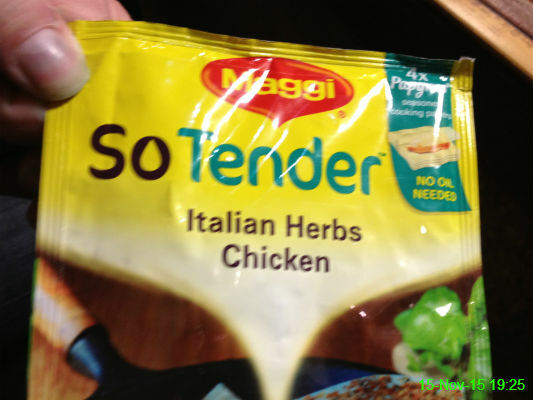 It's not just me who can't resist an impulse buy - Stu popped to the shop for a lottery ticket and some cigarettes and came back with this seasoning for chicken. 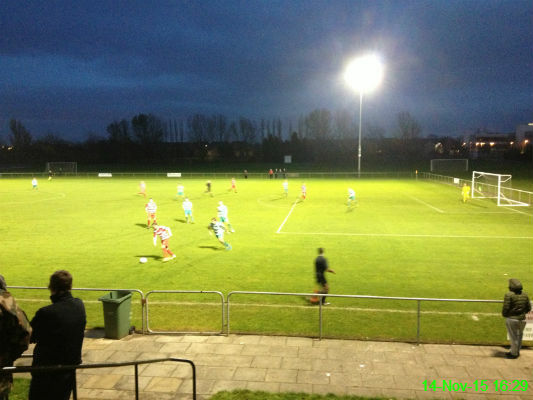 It was a cold afternoon under the floodlights as Allotment were unfortunately well beaten. My iPhone doesn't take a great photo in this sort of lighting but getting my hands back into my pockets as quickly as possible was preferable to trying to improve the shot. I'm throwing myself into my new hobby and while I haven't magically developed any artistic ability I'm at least making some progress as this is the third picture I've started so far. I've always wondered what it would be like to spend time in a padded cell and today I got a sneak preview during a rare trip in the lift, as there was protective covering around due to the work being carried out in our building. 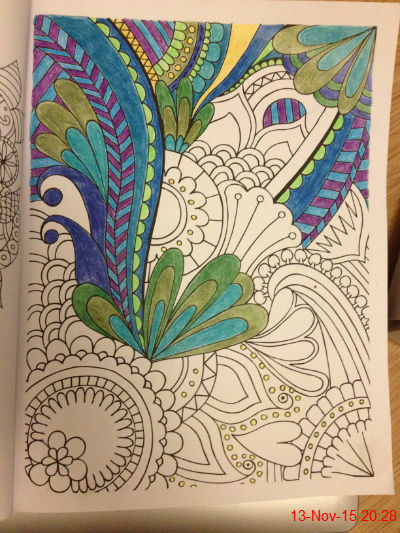 The latest fad is colouring in books for adults. 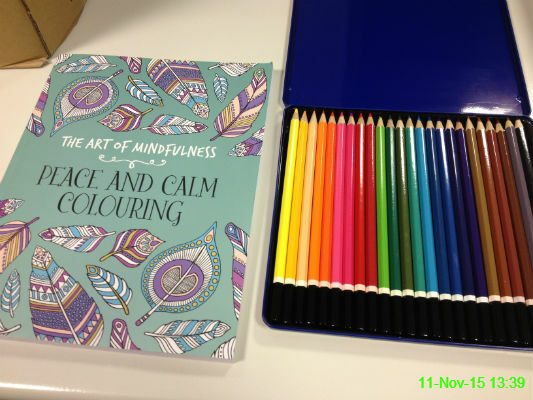 I don't usually join in with them, but after years of sneakily enjoying colouring in activity books and the like (all intended for children, of course) it's time to get on board with the trend. This book is supposed to provoke feelings of peace and calm which, let's face it, is something I need. 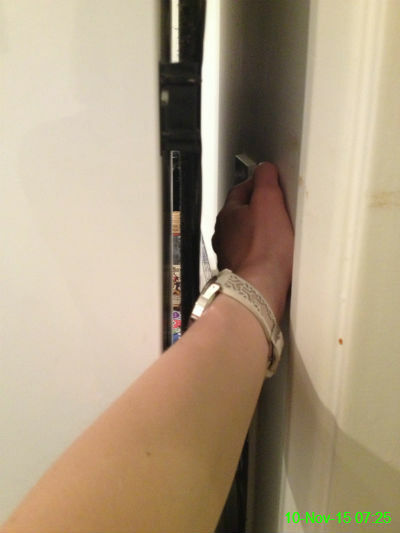 Sometimes I find our fridge has been pushed back a little further towards the wall, and when that happens I can't reach the lightswitch if I'm wearing my watch. 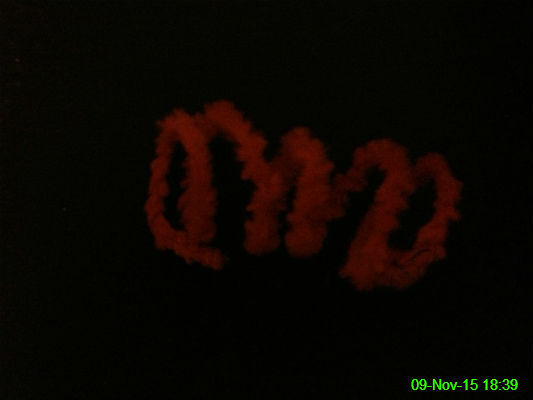 Playing with a pipe cleaner is surprisingly therapeutic. 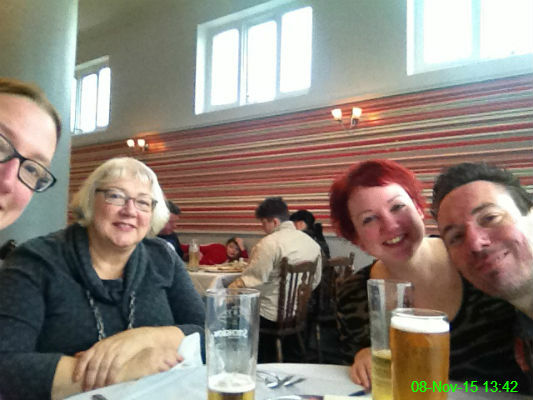 I went to Amici for a meal with Mam, Ali and Stu. 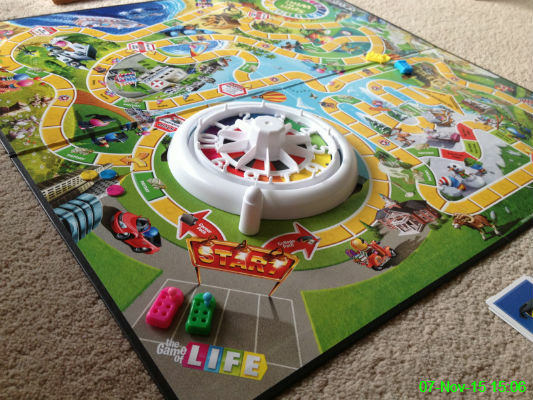 It's been years since I played this, but I had a go today. Ella beat me, which I'm putting down to lack of practice! 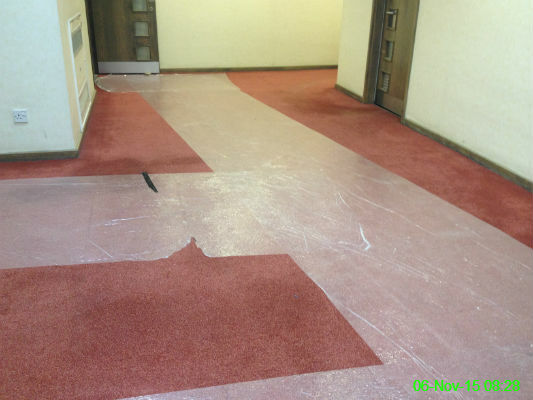 Some work is being done on the other suites on the floor of the building where I work, so the carpet has a temporary protective layer. 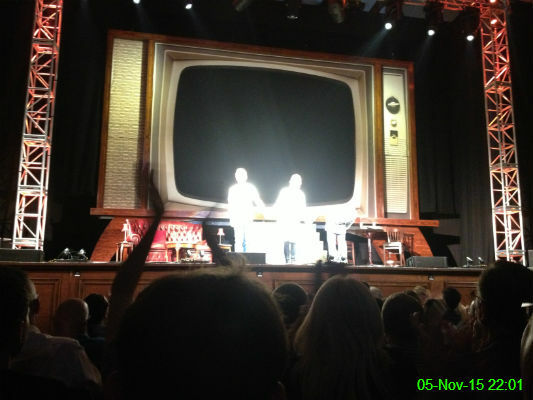 I went to see Harry Enfield and Paul Whitehouse at Newcastle City Hall and they put on a hilarious show. My photography skills, however, are not quite as impressive - they definitely did not have bright lights emanating from their bodies! Obviously you can't tell from a photo but let me assure you this arm was trembling following my workout this evening. 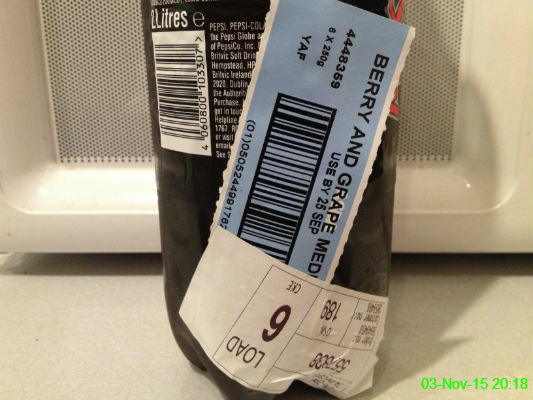 I'm down to the last Pepsi Max of my most recent Asda home delivery and I was pretty surprised to find out that it is in fact a berry and grape medley. 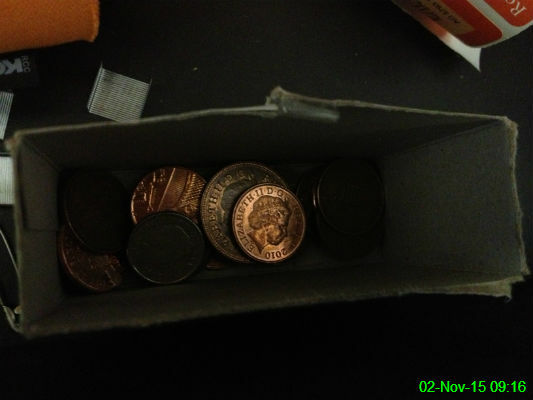 I recently cashed in my collection of copper/silver coins and got over £90, so it's time to start building the savings up again. 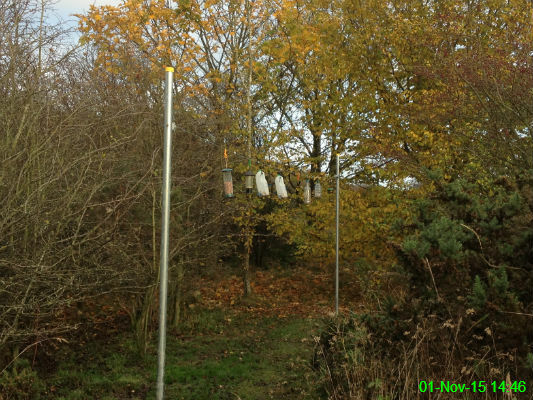 I noticed this bird feeder for the first time while walking near Weetslade Hill. I didn't want to disturb the birds so I stayed a reasonable distance away.